When people interact with your brand or content, make sure they're coming away with the right story in mind. Earlier this week, a colleague of mine brought up the fact that storytelling, as a skill, was important to everyone in their job. We were having a conversation about reporting our research, and how we could do things differently — not to be different just for the sake of it, but to improve how and what we present to our client partners. This got me wondering: was there anyone in our organization who would not benefit from a basic primer on storytelling? It’s definitely crucial for our C-suite team, but our researchers could use it to better explain results and insights to clients; designers regularly "tell a story" by discussing scenarios in which people use a product or service that we design; and our developers can do a better job by understanding exactly what it is that the designers are trying to achieve. It’s true. Everyone could use a bit of storytelling training. Sticking to marketing and PR professionals, though, storytelling is perhaps even more mission critical. I spent some time randomly checking out the digital presences of a handful of businesses to see how well they told their stories. As you might imagine, the results were mixed. Some organizations do a great job tying together what they do on their own websites, social media accounts, and even in stories written about them. Others are simply going through the motions, perhaps unaware that anyone might look at their content and expect a story. 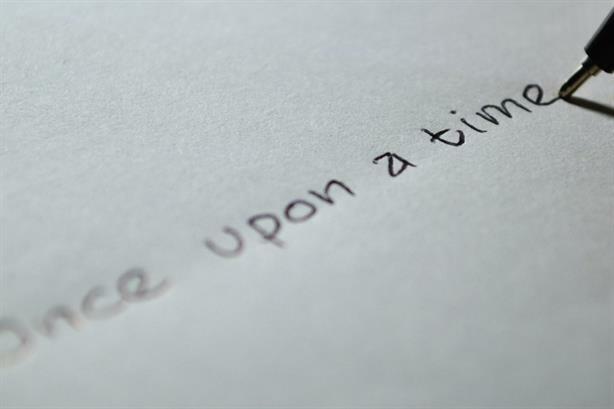 There are myriad reasons a brand, company or group may choose not to tell a story. Perhaps decision makers don’t think that fans, customers, or prospects aren’t really interested in "following" a story of what goes on with the organization. Maybe the prevalence of social media and the pace of today’s media marketplace have invalidated what storytelling was for those building a marketing plan. Worse, even, is when the idea of needing to tell a story at all didn’t cross someone’s mind at all. For me, it’s always about knowing your audience. When I interviewed with Blink UX, a conversation I had with the team was about what it "stood" for, who they wanted to reach, what they wanted to be, and if they thought they were doing so to their best ability. I’m enjoying helping to write the next chapters of that story, and it’s great to be at a place that embraces the need for storytelling. Moving forward, we should all be looking at the various audiences we are interacting with — whether in a new business opportunity or at the fulfillment of a client project — and ensuring that the story we want to tell is the same one that’s actually being told. It’s not simply about how to write a similar piece of content for Facebook audiences as for Twitter followers. It’s about recognizing that someone could spend 30 minutes checking out your brands, products, services, or executives, perhaps for a job interview or evaluation for a consulting project, and write their own story about your organization, and convey that story to colleagues. You’d want that story to be similar to the one you want to tell, right? We should all be doing our best to ensure that this is the case, as often as possible. Tom Biro resides in Seattle and is director of marketing for Blink UX. His column focuses on how digital media affects and shifts PR. He can be reached at tom.biro@blinkux.com or on Twitter @tombiro.